Jobs are AVAILABLE NOW – Join US! 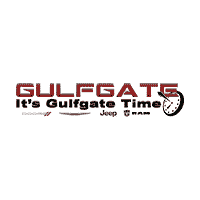 Gulfgate Dodge Chrysler Jeep Ram is looking for qualified associates to serve our Hispanic and multi-cultural clientele at all customer touch points. We are situated in a location that offers tremendous opportunity for growth and earning. Candidates must have a proven track record of successfully bringing in new business and maintaining relationships with a loyal customer base. Bilingual candidates a PLUS! Candidate needs to demonstrate an eagerness to satisfy a customer’s needs and proven skills to work well under pressure in a fast-paced environment. This is not just a JOB – It is a CAREER!